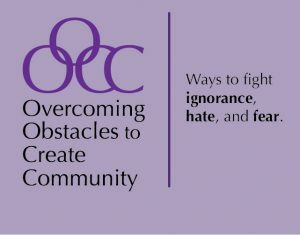 An organization composed primarily of women brings a unique perspective to many social justice issues. Email subscribers receive our monthly e-newsletter, Loud & Clear, as well as invitations to our monthly educational programs and other special events. We will also send occasional advocacy alerts, ballot initiative recommendations and other mission-related emails. Women’s Voices Raised for Social Justice gives its members an opportunity to work on a number of issues, rather than just one cause. Whether you are passionate about common sense gun solutions, the environment, healthcare for all, human rights, racial justice, economic justice, reproductive rights, LGBTQ rights or other issues, you will find other women at Women’s Voices who share your curiosity, concern and commitment. Make our voice stronger when we advocate with elected officials. Provide support to the organization by adding your name to our advocacy efforts. Provide ideas and suggestions to help determine how to define our positions and choose our causes. Be eligible to vote on important decisions such as Women’s Voices taking a position on a social justice issue or supporting/opposing a ballot measure. Be included in and have access to our membership roster. Participate in advocacy activities in any way that you want or is possible for you. Take pride in your affiliation with a strong, progressive group of women working for social justice. Help cover our administrative and outreach costs through your dues. Please click here to join Women’s Voices today. Even if you can’t come to meetings or become personally involved, your membership is important…and greatly appreciated.